You need to distribute a copy of the 2017 Mobilehome Residency Law to all homeowners and residents OR notify all homeowners and residents in writing by February 1, 2017 that there has been a significant change in the MRL and notifying the homeowner that he/she can request a copy of the updated MRL from the community management at no charge. Upon a request by a homeowner, Community owners and management are required to provide a copy of the MRL to the homeowner within 7 days of the request. The management of a master-meter park shall give written notice to homeowners and residents on or before February 1, 2017 in their utility billing statements about assistance to low-income persons for utility costs available under the California Alternate Rates for Energy (CARE) program, established pursuant to Section 739.1 of the Public Utilities Code. The notice shall include CARE information available to master-meter customers from their serving utility, to include, at a minimum: (1) the fact that CARE offers a discount on monthly gas or electric bills for qualifying low-income residents; and (2) the telephone number of the serving utility which provides CARE information and applications. The park shall also post the notice in a conspicuous place in the clubhouse, or if there is no clubhouse, in a conspicuous public place in the park. The Mobilehome Residency Law (MRL), found in Section 798 et seq. of the Civil Code, establishes the rights and responsibilities of homeowners and park management. The MRL is deemed a part of the terms of any park rental agreement or lease. This notice is intended to provide you with a general awareness of selected parts of the MRL and other important laws. It does not serve as a legal explanation or interpretation. For authoritative information, you must read and understand the laws. These laws change from time to time. In any year in which the law has changed, you may obtain one copy of the full text of the law from management at no charge. This notice is required by Civil Code Section 798.15(i) and the information provided may not be current. 9. In California, mobilehome owners must pay annual property tax to the county tax collector or an annual fee in lieu of taxes to the Department of Housing and Community Development (HCD). If you are unsure which to pay, contact HCD. Failure to pay taxes or in lieu fees can have serious consequences, including losing your home at a tax sale. 10. For more information on registration, titling, and taxes, contact: the Department of Housing and Community Development www.hcd.ca.gov (800) 952-8356; your County Tax Collector; or call your local county government. As of June 1, 2010, mobilehome park owners, landlords and property management companies who use consumer reports in their daily operations (i.e. to screen applicants), are required to create and implement reasonable policies and procedures to identify and assist in combating Identity Theft. The policy must include reasonable steps to be taken if the user of a consumer report receives a Notice of Address Discrepancy (“Notice”) from a consumer reporting agency. This Notice alerts the user that there is an inconsistency between the information obtained from the consumer/applicant and the information on the credit report. 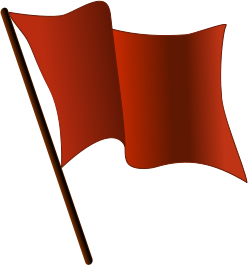 This new law, called the “Identity Theft Red Flags and Address Discrepancies under the Fair and Accurate Credit Transactions Act of 2003” does not specifically state the steps the community’s policy must include, but some examples of recommended policies are 1. to ask the consumer to explain the inconsistency in the report or to produce further documentation to verify if the information is consistent with the credit report information and 2. compare documents such as notices of change of address or other third-party sources. It is highly recommended that the community’s policy be in writing and include a requirement that all Notices received and all steps taken in compliance with the policy be documented. Make sure the community’s employees/managers understand and are familiar with the policy. * If you would like assistance in creating your policy, you’re welcome to visit my California Manufactured Housing Community Owners legal services page. This is Part 3 of a 4-part blog series advising manufactured home community managers/owners on accommodating disabled tenants focusing on DISCRIMINATION IN RENTING. In addition to failing to make reasonable accommodations for disabled individuals to equally use and enjoy the premises, owners and managers need to be aware that they are prohibited from discriminating against disabled individuals in all aspects of renting based on the fact that the individual is disabled. Discrimination means treating individuals unequally due to their disability, to their perceived disability or due to their association with a disabled individual. Unlawful discrimination can occur in various ways, including, but not limited to, refusing to rent to a disabled individual, imposing additional rental terms, denying certain rental privileges, charging higher rent, limiting access to the premises or common areas, or terminating the tenancy. Who is a disabled individual under the federal and state disability laws? Under state and federal law, a disability is one that impairs a “major life activity” such as performing normal household chores, walking, hearing or seeing. The impairment can be of a physical or mental nature and includes such conditions as physical handicaps, disfigurements, disease, mental disabilities, mental retardation, emotional or mental illness, cancer, multiple sclerosis, and HIV status, just to name a few. Certain impairments, however, have been determined not to be disabilities entitled to protections under federal and state law. These impairments include sexual behavior disorders, compulsive gambling, kleptomania, pyromania and current substance abuse. Be careful, however. The California Unruh Act, which prohibits discrimination on the basis of disability, is very broad in its protection. This act also prohibits communities from discriminating against individuals for “arbitrary characteristics,” which could include several disabilities or perceived disabilities not commonly categorized. Also note that discrimination can occur without the individual actually having a protected disability if that individual is perceived as having a disability and unlawfully discriminated against because of the perceived disability. Penalties for discrimination As an owner or manager of a manufactured home community, you must be aware of these laws and your responsibilities because these laws impose fines and penalties for non-compliance. An individual who is unlawfully discriminated against in the renting arena or who is not afforded reasonable accommodations under these laws can be awarded actual damages incurred, embarrassment and emotional distress damages, statutory damages of three times the amount of actual damages, injunctive relief, and in some circumstances, even punitive (punishment) damages are available. Both owners and managers have liability for discrimination against individuals with disabilities. Owners may be held responsible for the discriminatory acts of their managers whether these acts were negligent, intentional, or directly against community policy or orders. If the act of the manager was authorized or ratified by the owner, the owner may face punitive damages. Managers also face individual liability for their discriminatory acts, even if they were following orders of the owner. Therefore, establish fair rental policies, train managers on these policies, adequately supervise managers and discipline any violation of these policies. * For specific inquiries regarding a discrimination in renting, your welcome to visit my California Manufactured Housing Community and Mobilehome Park Owners legal services page. This is Part 2 of a 4-part blog series advising manufactured home community managers/owners on accommodating disabled tenants. Obviously not all requests or demands made by disabled applicants or residents fall under the category of reasonable. What will determine reasonableness tends to be based on the extent of the modification to the community’s policies and procedures, the expense or burden of the modification to the community, as well as the necessity of the modification to the disabled individual’s equal use and enjoyment of the premises. The courts have found the following situations not to be reasonable accommodations. 3. Requiring the landlord to modify policy to accept Section 8 certificate holders to accommodate a disabled individual. State and federal disability laws also require reasonable modifications to the existing premises if the modification is necessary to afford the disabled individual full and equal enjoyment of the premises. However, the disabled resident is required to pay for the expense of the modification to the inside of the premises, as well as return the premises to its original condition upon departure. An owner can require that a disabled resident sign an agreement to return the premises to its original condition once the disabled resident vacates the premises. The owner should not, however, request an additional security deposit. The courts have upheld the installation of a wheelchair ramp to the entrance of a home as a reasonable modification to the premises. This is Part 1 of a 4-part blog series advising manufactured home community managers/owners on accommodating disabled tenants. 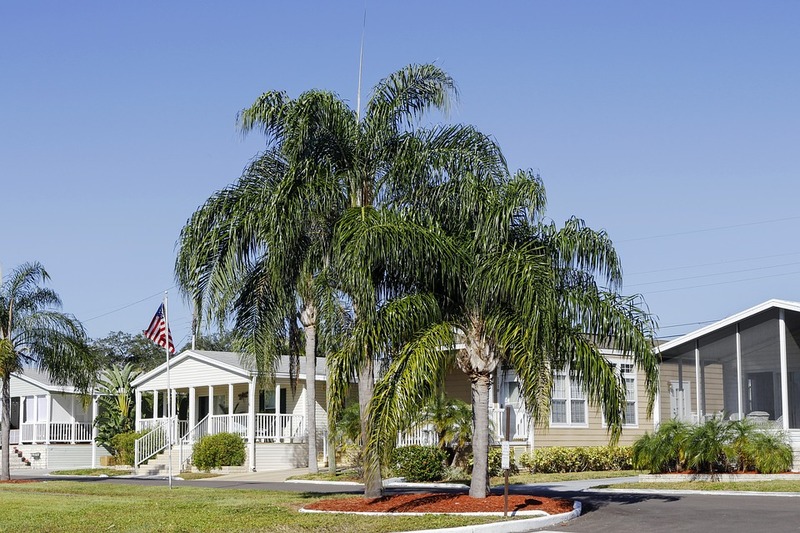 Under both federal and state laws, owners of manufactured home communities and their agents are prohibited from discriminating against disabled individuals in the renting of homesites spaces or community-owned manufactured homes. Discrimination against disabled individuals includes not only the refusal of an owner or manager to rent to a disabled person, but also the failure to make reasonable accommodations to allow disabled individuals an equal opportunity to fully use and enjoy the premises. (2) Reasonable modifications of the premises. Modifying community policies, procedures and practices If an existing rule or policy of the community limits or restricts a disabled individual from equally and fully enjoying the premises, the community may have a responsibility to modify the rule or policy in an effort to “reasonably accommodate” the disabled individual. What constitutes a reasonable accommodation is difficult to define, just as it is difficult to apply a bright-line definition to what constitutes a reasonable rule or regulation under the Mobilehome Residency Law. Examples of what courts have determined to be a reasonable accommodation, and the factors on which the courts base these decisions, is the best source for determining what constitutes a reasonable accommodation. Please note that what constitutes a reasonable accommodation will be based on the specific facts of each situation. There are, however, a few bright-line modifications of community policies that have been established by law. Use of guide, signal, or service dog California Civil Code Section 54.1, otherwise known as the Unruh Act, prohibits discrimination against disabled individuals who require guide, signal or service dogs. If the applicant or resident is blind or visually impaired and needs a guide dog, is deaf or hearing impaired and needs a signal dog, or has any other disability that requires the use of a service dog, the pet policies of the community must be modified to allow the individual to keep the dog on the premises. The community is prohibited from charging a pet fee or additional deposit for the guide, signal, or service dog. The community may, however, create reasonable pet rules for this dog and the disabled individual will be liable for any property damage caused by the dog. Income of spouse Another required modification to a community’s policies under the Unruh Act is that the aggregate income of both a disabled individual and his or her spouse shall be considered when determining the financial ability to qualify for residency. The community cannot refuse to rent to a disabled individual on the basis the individual is financially dependent on his or her spouse if the spouse is also party to the lease agreement [Civil Code Section 54.1(b)(7)]. Please note, however, that it is not illegal discrimination to deny residency to a disabled individual if they are unmarried and cannot establish financial ability, or if with the aggregate income with a spouse does not meet the community’s financial ability requirement. Other examples of reasonable accommodations Other reasonable accommodations are not as clear, and will be based on the individual facts of the situation. 4. Waiving or modifying a pet policy to allow an emotionally disabled individual to keep a dog when it has been determined that the dog is therapeutic to his or her disability.